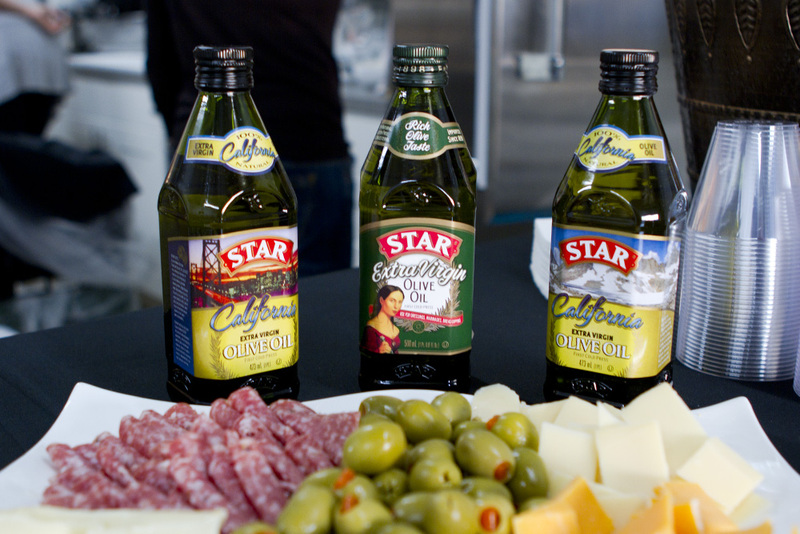 A few weeks ago I was among a group of food writers, bloggers, publishers, lovers, invited by STAR Fine Foods to celebrate the launch of their first Extra Virgin Olive Oil made exclusively from California olives. It is the first locally grown olive oil for the importer which has introduced thousands of Californians and households all over America to premium olive oils from the Mediterranean since its founding by the Guirlani family of San Francisco in 1898. Owned by Borges of Barcelona since 1995, the company also imports balsamic and wine vinegars, green and black olives, peppers and capers from throughout Spain and the Mediterranean. In the bowl of a stand mixer, combine the baking mix, baking powder, baking soda, parmesan cheese, poppy seeds and salt. Mix to combine. Add the olive oil and mix. Add the water 1 tbsp. at a time until the dough holds together. Remove dough from the mixer and knead a few times until smooth dough is formed. Roll out dough between sheets of parchment paper to about a 1/8-inch thickness. Peel off top sheet of parchment and cut dough into 2-inch squares. Don’t try and separate squares – dough is too fragile! Place a sheet pan in the oven to heat. When sheet pan is hot, slide parchment sheet with crackers on it onto pan. Bake for 8-10 minutes and remove pan from the oven. Gently break crackers apart and then return pan to the oven and bake for another 8-10 minutes until crackers are dry and crispy! Thank you STAR Fine Foods, DGWB, and Todd & Diane for a fun evening and elevating us into olive oil fanatics and connoisseurs! 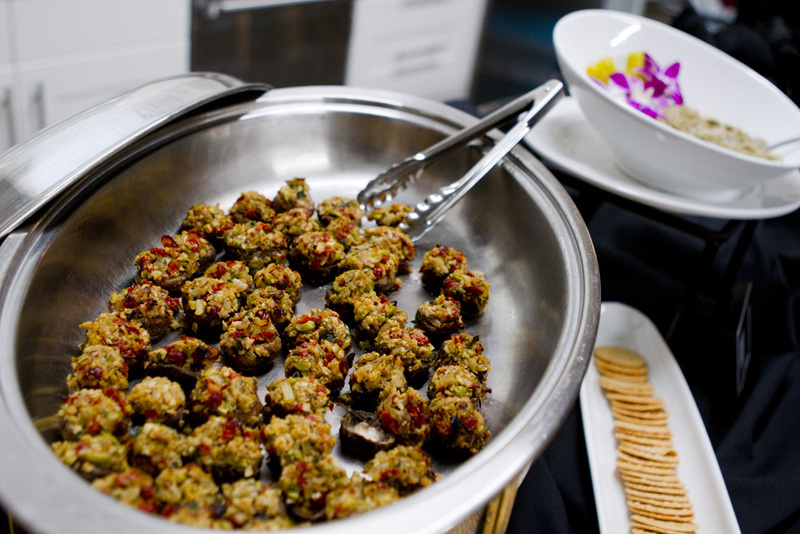 These do look tasty-I do not have any food allergies, but I know several people that do. I am sure they will enjoy these, so I have printed to pass along. Thanks for sharing! Sounds like a wonderful event! 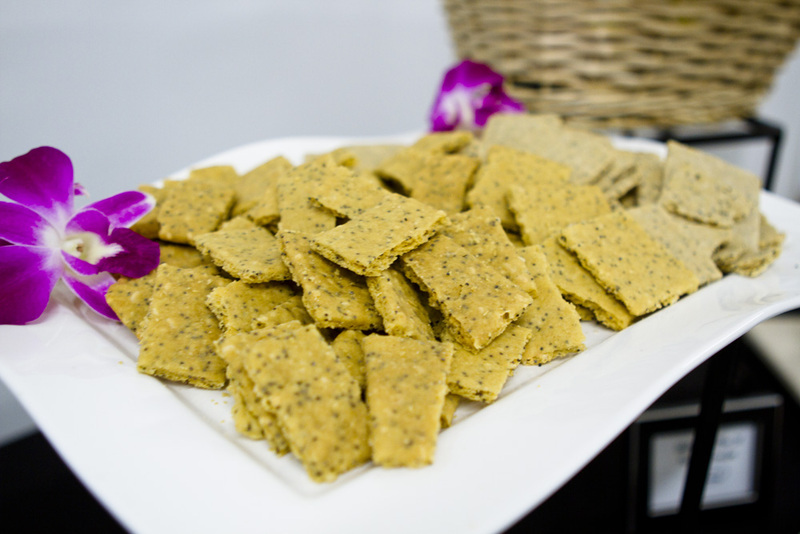 I’d love to try an olive oil made from California olives, and the gluten free crackers sound delicious! What a great event! 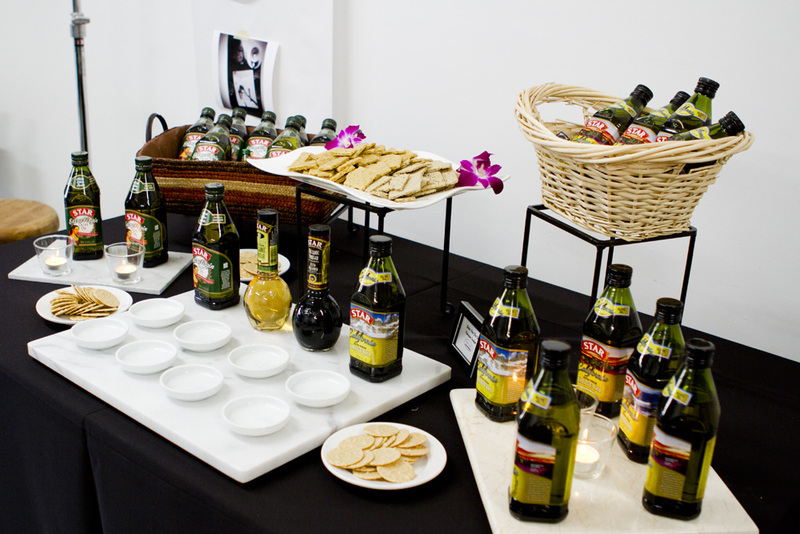 I would love to go to a olive oil tasting…there was a olive oil place in NYC that had the MOST amazing flavors I was so impressed. What a fun event and I love Star brands too! I don’t think I ever tried an olive oil made from California olives. I’d love to try it. What fun darlin’ and the recipe look delish!